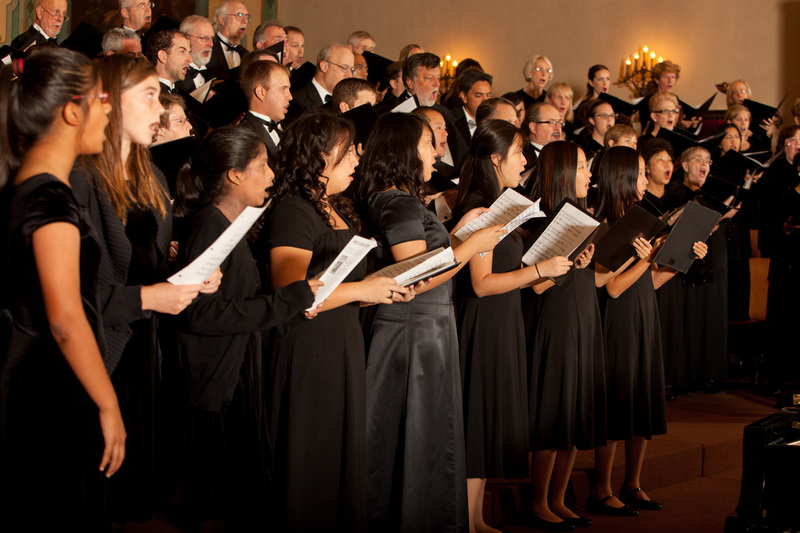 The Santa Clara Chorale is a fantastic community of music making. We hold ourselves to a high artistic standard while keeping rehearsals energetic and fun, remembering that there is great joy in making great art, and even greater joy when we share that experience with a community. 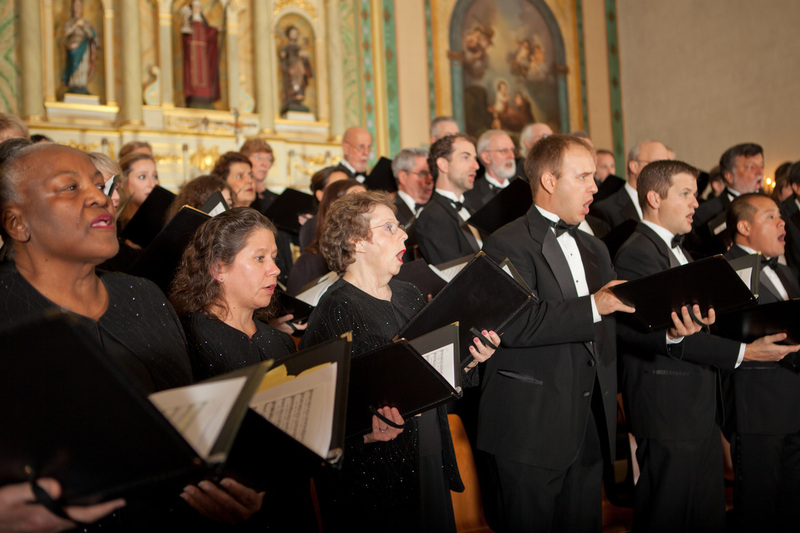 The Chorale rehearses on Monday evenings, 7:30pm-10:00pm from the end of August to the beginning of June. We sing a 4 concert season (October, December, March, May) with a June Thank You concert for St. Mark's Episcopal in Santa Clara that hosts our rehearsals. 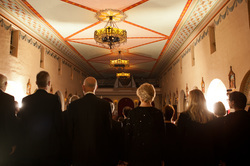 Dress rehearsals typically fall on the Wednesday before the concert. New member auditions continue throughout the year. We are currently auditioning for the 2017/2018 season! 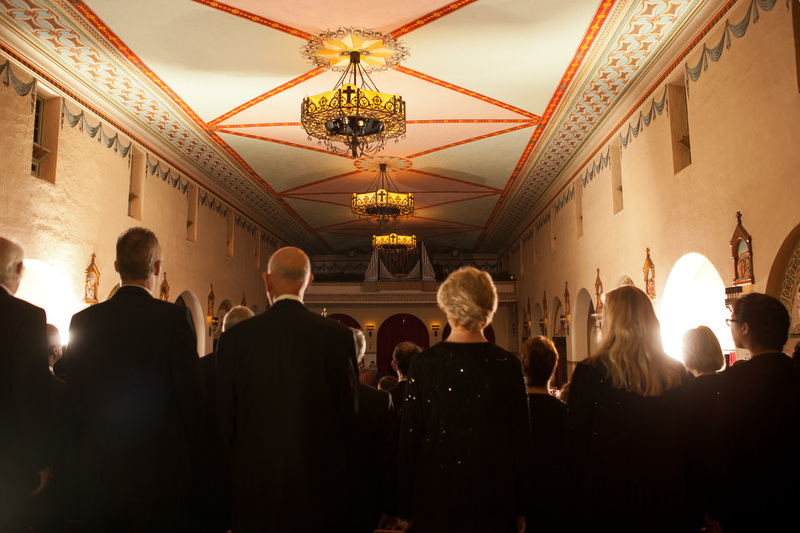 We invite interested singers to attend a rehearsal to experience the chorale first hand. 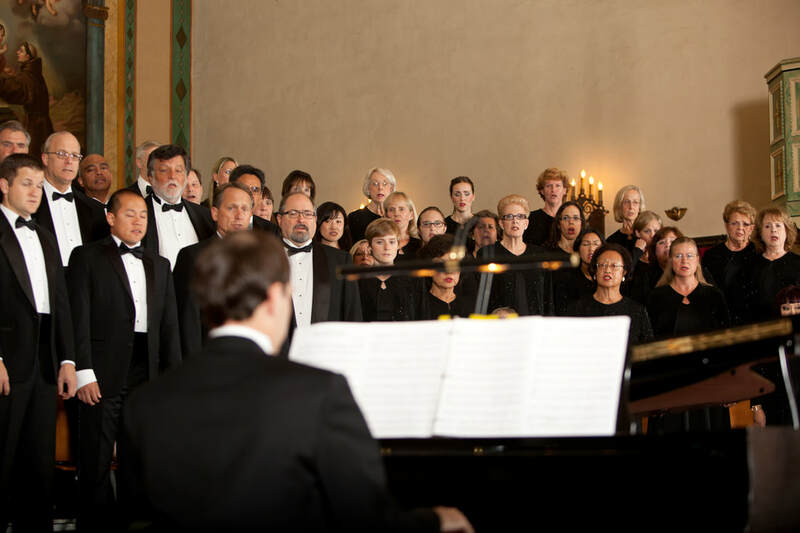 To make an appointment to visit a rehearsal, send an email to info@scc.org or call our hotline at (408) 883-4722 and our choir manager will be happy to answer your questions and help you schedule an appointment. When you visit rehearsal, you'll have a chance to sing alongside current members and get a sense of what a regular rehearsal is like. At the break or after the rehearsal, you'll have a chance to meet the artistic director and schedule a follow-up audition. If you have a song that you feel showcases your voice, you are welcome to bring that to the audition, otherwise, you may be asked to sing a folksong or other well-known tune. The Chorale is looking for singers with good sight-reading skills and vocal proficiency with regards to diction, rhythm, intonation, pitch, and tone. Please do not be intimidated by the audition process, we try to make it relaxed and fun, in line with our choir's personality. For each concert period, only three absences are permitted. With two or three absences you will be responsible for attending a performance check. With four absences, you may not be permitted to sing the concert. Regular attendance is a sign of respect and commitment to the ensemble, and is necessary to create the highest caliber of performance. Membership dues are $250 for the season and due at the time of the first rehearsal. Music is purchased by each member. The cost is approximately $75.00 for the year or an average of $25 per concert. 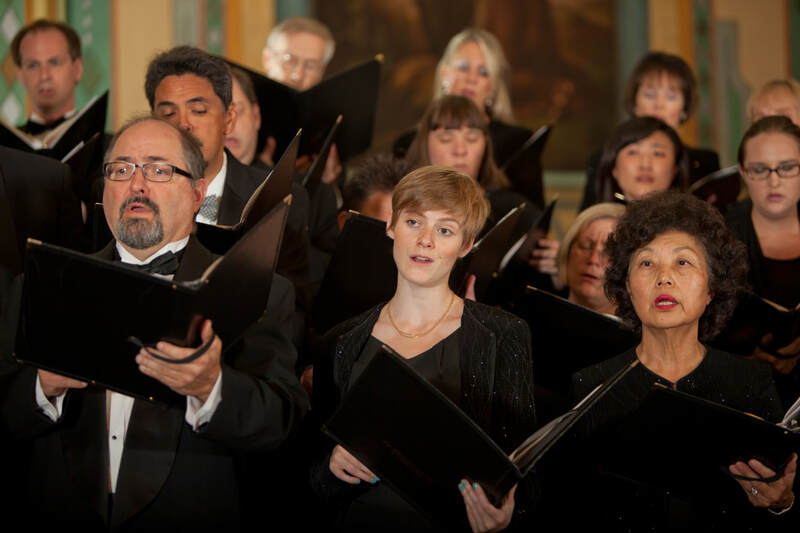 However, there are scholarships available for those for which purchasing music or paying dues will be an undue hardship and may perhaps prevent from singing in the Chorale. We want everyone to participate so please do not let the financial commitment prevent you from joining us. Each spring the Chorale participates in the Arts Council Silicon Valley's Music and Arts campaign. The campaign is an annual fundraising event that brings together diverse arts organizations throughout the Bay Area in a unified annual fundraising campaign. ​The Arts Council provides the Chorale with administrative support in collecting donors' gifts. All we have to do is provide the donors. We hope that all members of the Chorale will support the Music and Arts campaign through the giving of time and money in support of the Chorale. Standard concert dress for most programs is dress black. For women: a uniform black choir outfit (skirt, shell and jacket), black stockings and shoes. The cost is approximately $100; for men: a tuxedo with tux shirt and studs, tie and cummerbund, black shoes and socks.